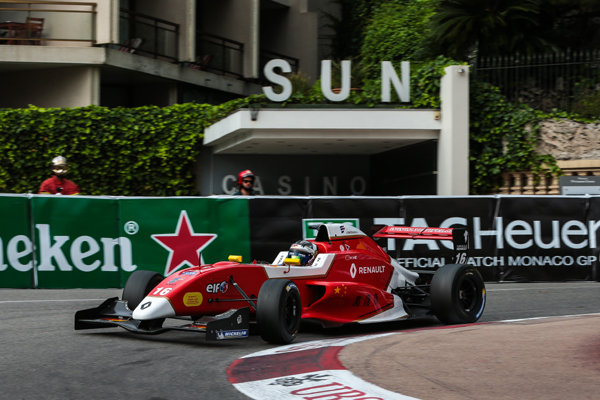 Free Practice: With only one free practice session, Monaco is very demanding for the young drivers. Ye was P5, Verschoor P9 and Novalak P18. 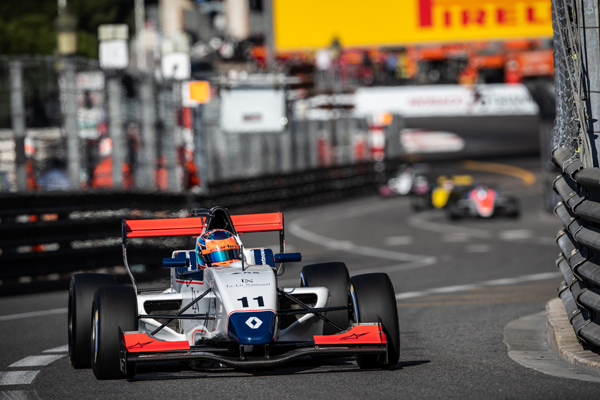 Qualifying 1: In the Qualifying Verschoor and Novalak in Group A, Novalak touched the wall and had to retire from Quali very early - P14 the result. 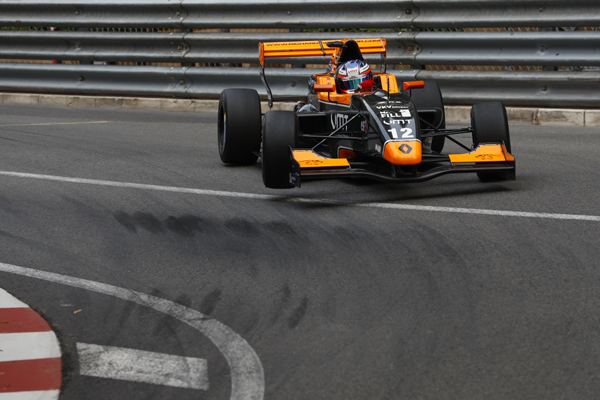 Verschoor wasn´t ale to improve much on the second set of tyres - P8. Ye was in Group B and was sitting in Pole Position untill the last lap when he dropped back to P2 ind his group. Race 1: Novalak started from Pit Lane to have a clear race. He finished P25. Verschoor made up one position in the opening lap and finished P14. Ye kept his position at the start and was following the leaders. With overtaking being impossible in Monaco he finished P4. Grid for Race 2: Ye - P3, Verschoor - P16, Novalak P28. Race 2: Novalak again from the Pit Lane showed a good pace with good laptimes. He finished on P22. Verschoor as the day before had a good opening lap to move up to P13. Ye missed the start a bit and lost one position into turn 1. After that, as the day before, overtaking was impossible and Ye finished again P4.